Those subliminal Riri lyrics that are currently being transferred to the subconscious of your mind every time you hear “come here rude boy, boy can you get it up” could actually be slowly metamorphosing you into a rainbow coloured, gender-non-conforming queer. YASSS QUEEN! We always knew that Rihanna was an Illuminati controlled puppet brainwashed by the Devil, Jay-Z, and Beyoncé in a secretive pact to get unguarded citizens to part with their credit card details to actually download songs on Tidal. Seriously, who the f*ck actually uses Tidal, anyway?! But, what we didn’t know was that those overly auto-tuned harmonies would actually give some of us limp wrists while systematically quoting every single catchphrase from Drag Race. Not to mention annoy us to death when people utter the words, “work, work, work, work, work, work”. It may sound a little far-fetched, or something you would even scrawl upon on Reddit – but religious organisations in Africa actually think that the Caribbean native popstar is on a mission to turn their cis gender heterosexual men into flaming homosexuals. They may definitely be onto something, but if you’re straight man and you listen to Rihanna’s music, then you’d already be a prime suspect of still being in the closet. 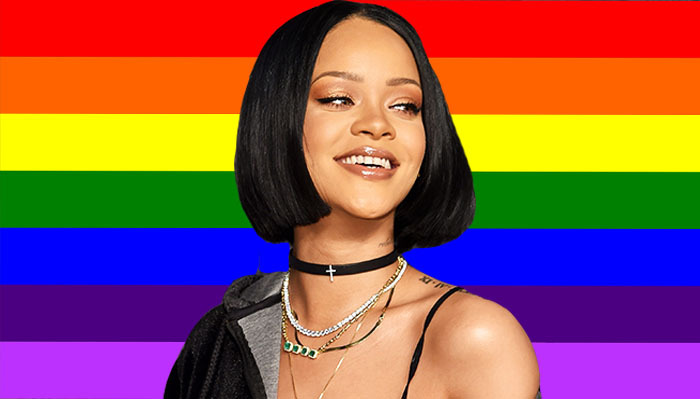 The coalition called “No to Freemasonry and Homosexuality” told French magazine, Jeune Afrique, that Rihanna’s visit is an attempt to spread Satanism and the “goals of the Illuminati”. A spokesperson for the extreme cult – Sheik Oumar Diagne – said, “Rihanna does not even hide it. She is part of the Illuminati, which is a branch of Freemasonry”. Yet, despite the group’s militant attempt to prevent Rihanna from entering the country, the “We Found Love” singer still managed to raise hundreds of millions of dollars for education for underprivileged children across 65 countries. In between the dastardly and undercover LGBT agenda, online conspiracy theorists also believe that the secret society of Rihanna, the Baphomet subsidiary of the Illuminati and their mind control efforts are related to the same secret societies that steer world governments, whom are also the shadowy masterminds behind significant historical events such as the assassination of JFK and erm… every X-Factor final being rigged since 2004. We mean, who the hell actually voted for Steve Brookstein?! Major conspiracy! And here’s us thinking that it was only Hillary Clinton’s warped public broadcast messages that turned people into prancing hysterical snowflakes, but now you can also add Rihanna’s music to that ever growing list.